Congratulations! You’ve finally chosen the perfect material for the windows in your Naperville home and have decided to go with vinyl. We’re sure you’ll be pleased with your choice in window material selection, especially considering that vinyl windows are currently the most widely purchased window material in the country. The next step in the process is finding the right vinyl windows for your home, which means you’ll have to do some homework. Unfortunately, there’s a good amount of false information about vinyl windows floating around, so we’ve put together a short guide to help you separate fact from fiction. Read more. 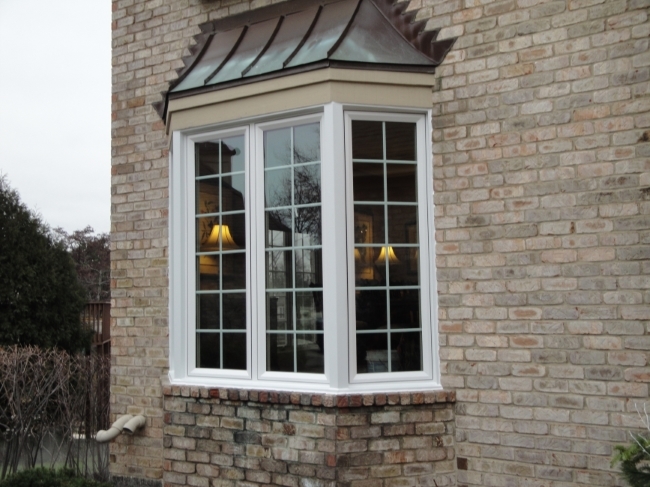 Whether you are buying replacement windows out of necessity, or simply to update the look of your Naperville home, there are a number of decisions that go into finding the perfect windows. For some, having so many options available can make the process seem overwhelming, and can often lead homeowners to quickly purchase replacement windows they won’t be happy with in the long run. To help simplify the process we’ve created a short list of important factors to keep in mind while shopping for replacement windows. Read more. It’s time to purchase new windows for your Darien home and you have some important decisions to make. You’ll have to decide on everything from the style you prefer, to the density of the glass you want installed in your windows. The most important of these decisions, however, will be the material you choose for your new windows. The material of your windows plays a major role in their overall quality, and can even help solve some common household problems. To show you what we mean, we’ve put together a short list of household issues and the window materials that could help solve them. Read more. If you’ve spent some time shopping for new windows for your Darien home, chances are you’ve become familiar with the many material options available. The material option you choose for your windows will play a major role in their quality, which is why it’s so important to find one that fits the specific needs of your home. At Dilworth Windows & Doors Inc., we’re a big fan of vinyl windows, and judging by the fact that they’re the most widely purchased window material in the country, it’s safe to say we’re not alone! Here we will be taking a closer look at why we love vinyl windows and why you should too! Read more. While shopping for new windows in Bolingbrook, IL, you may find yourself overwhelmed by the number of options currently found on the market. While an abundance of choices can be viewed as a good thing for homeowners, it can also make the buying process daunting and a bit confusing. The good news is the more you know about windows, the easier it is to find the right fit for your home. To assist you with the buying process we have put together a short list of our five favorite industry tips to get the ball rolling. Read more. While shopping for new windows for your Bolingbrook home, there’s a good chance you’ve heard talk about vinyl windows and their many benefits. That’s because vinyl windows have risen to become one of the of most widely-purchased window materials in the country, despite being one of the youngest on the market. Still, this doesn’t mean vinyl windows are the right choice for everyone. The best material will always be the one that best suits your individual needs as a homeowner. So to help you determine whether or not vinyl windows will do the job for your home, we’ve put together a short cheat sheet on the popular materials. Read more. With so much information readily available, it’s easy to see how some misconceptions on replacement windows can arise. Unfortunately, taking this false information as fact can affect the quality of the window you choose and can leave homeowners with quite the headache. Even worse, if you aren’t familiar with the window market, it can be difficult to separate the facts from fiction. To help with the buying process we’ve created a short guide to some common myths to be aware of while shopping for your replacement windows for your Bolingbrook home. Read more. If you’re like most Naperville homeowners, you may find the window shopping process to be a bit overwhelming. After all, there have never been so many options available on the market, which can make finding the right window for your home a daunting task. Fortunately, the more you know about windows, the easier it becomes to navigate your way through the endless options available to you. To assist with the buying process, we’ve made a helpful list of 5 important things you should know about buying windows. Read more. For the majority of homeowners in Lisle, replacing windows doesn’t occur unless a glass has a broken or a frame is damaged beyond repair. Unfortunately, this mentality robs homeowners from receiving the benefits replacement windows have to offer. The windows in your home play a huge role in the comfort, safety, and energy efficiency of your home, which is why it’s so important that they’re up to the job. Here, we’ll be discussing some of the many benefits associated with replacement windows and how they can improve the quality of your home life. Read more. It's never been easier to find a directional video on You Tube, or a DIY project on Pinterest, which is why so many homeowners in Lisle and throughout the country make the mistake of thinking any home improvement project can be completed without the help of professionals. Professionals spend years receiving their education and go on to accumulate decades of experience. Without that type of knowledge for a project, major problems can arise. This is especially true when it comes to your home’s windows. Let’s discuss some common dilemmas that arise when you attempt to make window installations a Do-It-Yourself project. Read more. While shopping for new windows for your Lisle home, you're likely to discover a number of quality window materials. These materials play a dramatic role in the comfort, affordability, and energy efficiency of your home, which is why it's so important to take into account the specific needs of your household while window shopping. 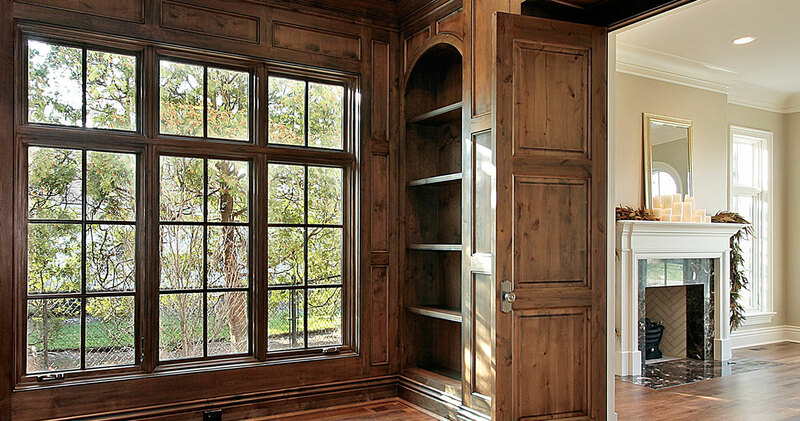 Among the many window materials on the market, two that continue to be fan favorites are wood and vinyl windows. Outside of their popularity, the two window materials could not be more opposite. Still, a number of homeowners find themselves torn trying to decide between the two. To help simplify the buying process, we have created a short buyer’s guide comparing these two beneficial window materials. Read more. If you're like the majority of Downers Grove homeowners, chances are you don't consider having to replace your windows an investment opportunity. The truth is, homeowners around the world put off replacing their windows until a glass shatters or a frame is damaged beyond repair. Unfortunately, this mentality prevents homeowners from cashing in on the numerous savings replacement windows offers. 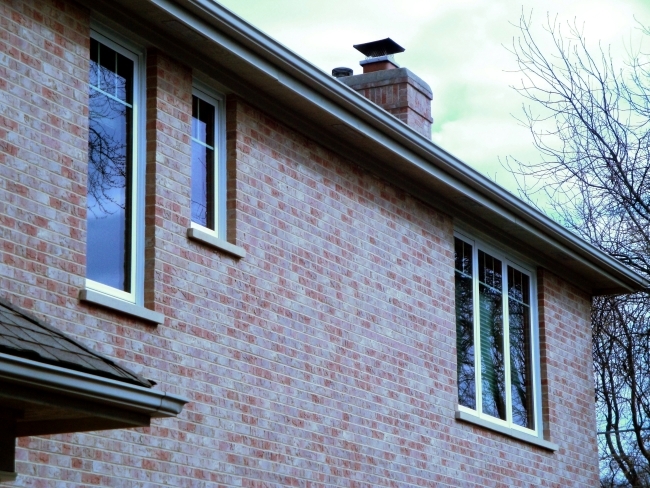 Take a closer look at why replacement windows make for such a strong investment opportunity. Read more. While shopping for new windows for your Downers Grove home, you’ll be faced with a number of choices to make. As a homeowner, you’ll make decisions on everything from the style of window you prefer to color and features you are looking for. Among these many decisions, you will have to choose which window material is the right choice for your home. Currently, vinyl windows are the most widely purchased window material in the country…and for good reason! The window materials come with a laundry list of benefits that homeowners love. However, you still may be wondering whether or not vinyl windows are the right choice for your home. To assist you with your decision, we’ve created a short buyer’s guide that compares vinyl windows to other popular window materials on the market. Read more. Choosing the right windows for you Downers Grove home can contribute a wide variety of benefits to your household. However, when it comes to any home improvement project, the safety and security of your family and belongings should always be considered a top priority. That means choosing windows that are equipped with the necessary features to properly protect your home. Here, we will be discussing some of the factors to be on the lookout for while shopping for the right windows to protect you and your family. Read more. If you’re like the majority of Darien homeowners, chances are you don’t replace your windows unless a glass shatters or a frame is damaged beyond repair. This mentality isn’t unusual, most homeowners in America consider replacing their windows a “worst case scenario” option. Unfortunately, many homeowners spend years living with windows that need to be replaced without ever noticing it. To help ensure your windows are replaced when they should be, we have created a short list of signs to be on the lookout for. Read more. 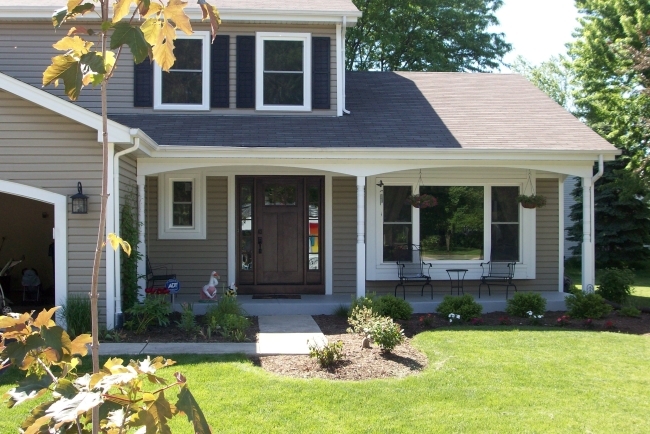 By now, you may be familiar with the many benefits vinyl windows offer your Darien home. However, there’s one benefit that reaches beyond your home and impacts your community and even the planet. Vinyl windows have developed a strong reputation for their energy efficient qualities, and it’s these qualities that help so many homeowners drastically reduce their carbon footprint. Here are some of the many ways that vinyl windows can reduce your household energy usage and can help you create a greener home. Read more. Shopping for new windows for your Naperville home can be an overwhelming process. Throughout the process homeowners must make decisions on everything from styles to materials, while searching for the perfect windows for their home. With so many options on the market, it’s easy to see how the process can take much longer than intended and end up costing more than planned. Fortunately, the process can be simplified by taking the time to answer a few important questions prior to purchasing your windows. Here we will be taking a closer look at a few of these important questions so your window shopping experience can be an enjoyable one. Read more. 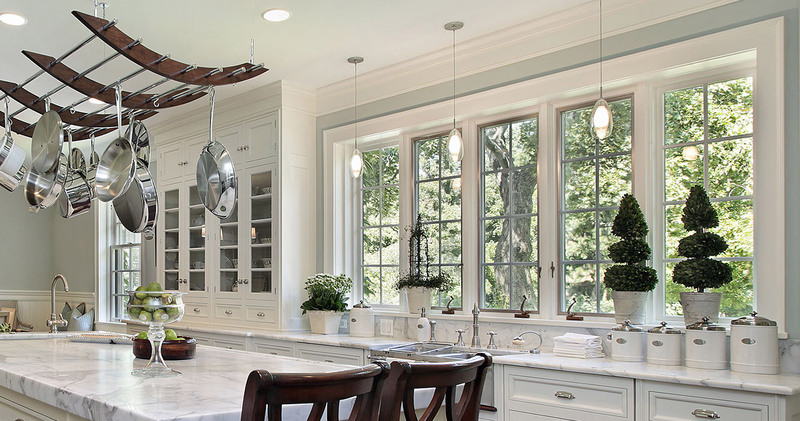 There’s never been a better time to shop for windows for your Darien home. The market is filled with a wide variety of styles, designs, materials and features. However, if you’re not familiar with purchasing windows, the process can feel a bit overwhelming. The best way to make sure your window shopping experience is an enjoyable one is to do your research beforehand to become more familiar with the type of window styles you like and which models would be best suited for your home. To help, we have created a short buyer’s guide to some of the more popular window styles currently on the market. Read more. Choosing replacement windows for your Naperville home is an important investment, so it’s important to ensure that you bring home the right model the first time. By paying special attention to important factors you can ensure that the windows you select are the perfect fit for your home and lifestyle. One of these important factors is the type of window material you choose to purchase. Your material plays a major role in windows’ energy efficiency, upkeep costs, and durability. Still, with so many popular window materials on the market, it can be difficult to know which is the right choice for your home. That’s why we’ve created a short buyer’s guide to provide you with some background information for materials like wood, vinyl, and fiberglass. Read more. One of the most important decisions you’ll make as a homeowner, while shopping for windows for your Naperville home, is the type of material you choose to buy. While it may not seem like it, the material of your window is one of the biggest factors in determining the quality of your window. Currently, the most widely purchased material in the country is vinyl windows, and it’s not without good reason. Vinyl windows have earned quite the reputation for their durability and energy efficiency. In addition to these benefits, vinyl windows have been found to be one of the most economical choices on the market. Here we will be discussing some of the many ways that vinyl windows can help you save and earn money. Read more. Your home’s windows play a huge role in protecting you and your family from weather-related threats, and help to keep your home both bright and efficient over the seasons. Unfortunately, even the strongest Naperville windows tend to deteriorate over the years, and may need replacing. While this is a process which many homeowners may avoid simply due to budget restrictions, there are some serious benefits to installing new windows in Elmhurst that no owner can afford to overlook when considering the overall health of their home. Some of these include: Read more. Windows can be some of the most charming, stand-out features of your home’s exterior. If you’re planning on getting new windows in Downer’s Grove in the upcoming year, it’s a good idea to bear in mind the overall aesthetic of your home. You should also look into the kinds of window trends that will make your home’s value soar. With the open, natural lighting trend staying on the rise, windows will be a key selling point. Because of this, you can expect to see some beautiful window trends emerging in 2017. Read more. Replacing your windows is a significant but worthy investment for your home. However, it’s easy to let home renovation opportunities slip by if a need is not immediately apparent. With that in mind, here are three different situations in which you should consider window replacement in Downer’s Grove, IL. Read more. Do you have a vision for your home or business remodel? 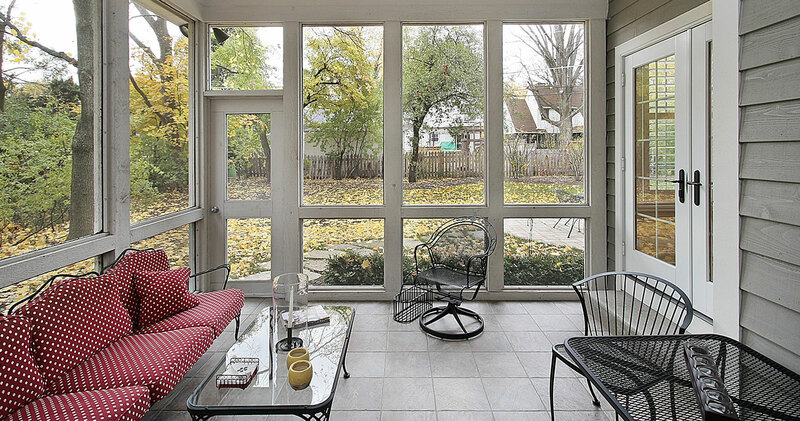 Window replacement in Glen Ellyn can do wonders for your space. Perhaps you’re dealing with narrow slots and imagine putting inalmost wall-to-wall glass. Or maybe your current casements are showing serious signs of age. In any case, a little homework and a consultation with your contractor will lead you to making your choices work for your purposes. Read more. When you set out to pursue window replacement in Naperville, IL, you may find a number of considerations to ponder along the way. In general, it is important to choose windows that carry the look you want, but do not forget to think through functional concerns as well. Here are some of the top practical aspects you should consider for your new windows. Read more. The visible growth of mold on a window is and unappealing problem. It is typically caused by the accumulated of condensation between panes or in the corners of windows. In some cases, this is a sign of poor insulation and a need for window replacement in Downers Grove, IL. In the meantime, however, you can prevent the growth of mold by following these three simple steps and taking care of the windows in your home. Read more. 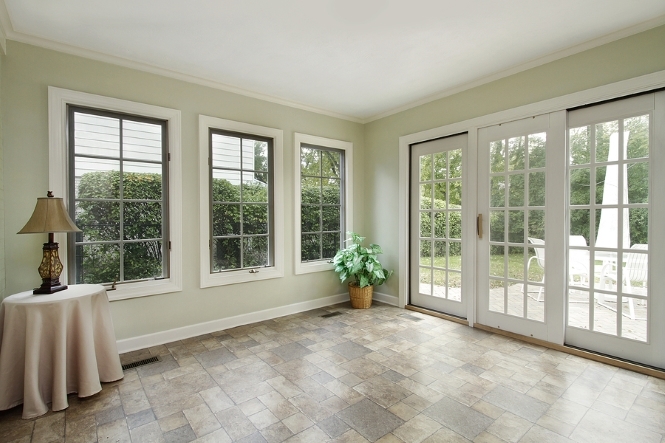 Are you thinking about replacing your entry or patio doors in Naperville? If so, there are some decisions you will need to make about color, material, style and a variety of other options. Before you pursue door purchase and installation, consider the following reasons why you should do everything possible to ensure that your new doors seal well. Read more. There are more DIY resources, websites and techniques than ever, but some jobs are better left to the experienced professionals. When it comes to window replacement in Wheaton, IL, it’s best that you refrain from handling the project on your own, no matter how simple the task might seem to be. Learn more about the harm you could do to your windows and your home by installing your own windows. Read more. If you are considering new windows in Downers Grove, there are a number of options for you to choose from, however not every window is of the same quality. To ensure that you get the most out of your current and replacement windows, there are a few things that you should keep in mind. Read more. Window replacement in Naperville, IL can be an affordable way to improve your home and your quality of life. If your home is drafty, or if you have too much noise and dust pollution seeping into your home from outside, it might be time to replace your windows. A contractor who specializes in window replacement may help your window replacement become an affordable investment. Read more. 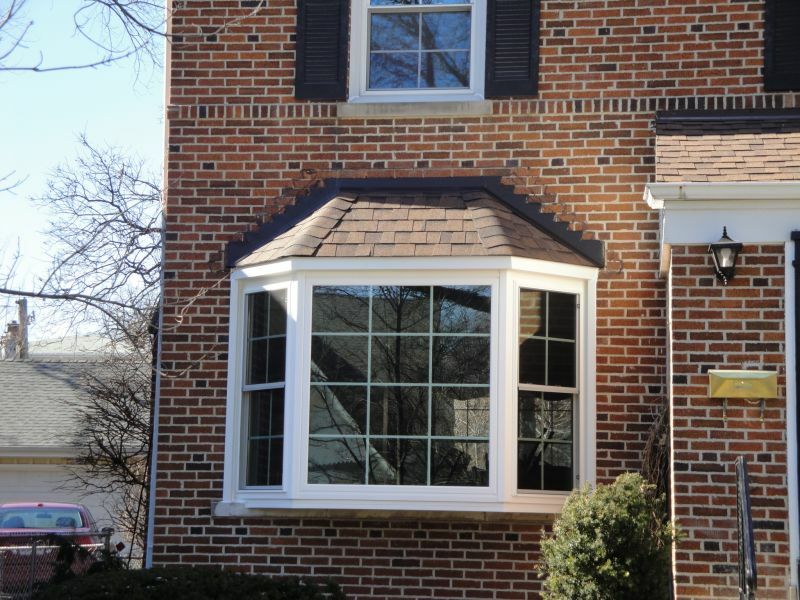 Window replacement in Wheaton, IL can add style and value to your home. Maybe your old windows are an out dated or drab design and you are looking for a window style that matches your home and your style better. Your windows could be showing their age with weathered wood, water stains and chipping paint. Whatever reason you have for looking to improve the style of your windows, replacement windows are more than an aesthetic improvement. Stylish new windows have many other benefits. Read more. When you’re looking for window replacement in Downers Grove, IL, you need top-notch efficiency above all else. However, if you’re not accustomed to dealing with windows or their different ratings and values, locating the most efficient option that offers the best long-term value can be a real challenge. 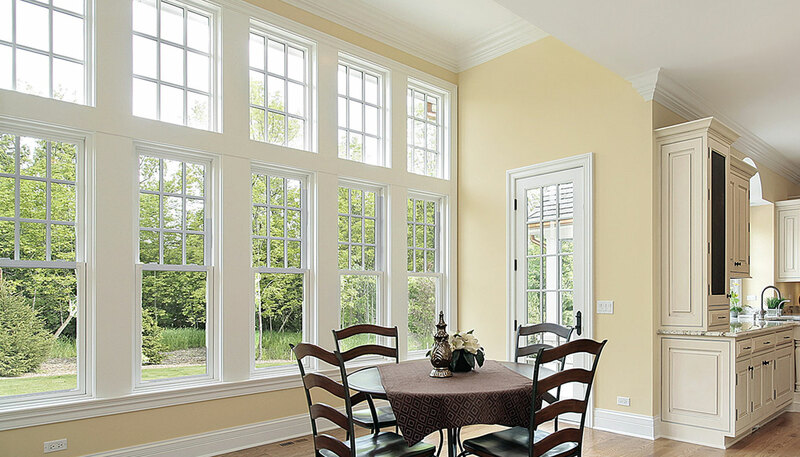 There are several factors to consider when looking at Naperville windows, but there are a few that you should consider especially important throughout the process in order to narrow down your choices and make your home a greener place to live all around. These factors are: Read more. What Is the Role of a Front Door? As you search for replacement doors in Naperville, you need to think about what you expect from a door. Before you shop for this product, you may not realize the important role it plays in your life. A front door is not simply a way to get in and out of your home. It offers much more than that. Your door should have a starring role in your home’s energy efficiency, safety and appearance. It may not be easy to find a product with this trifecta, but it can be done with a little patience and research. Read more. As the years pass by, it may become necessary to pay a little extra attention to your Naperville windows. Of course, this doesn’t mean you should simply fork over money for unnecessary inspections and repairs. There are some signs you can check for yourself before contacting the professionals about window replacement in Naperville, IL so you can ensure you’re not wasting your hard-earned money on unnecessary visits. Read more. When you’re looking for exterior doors in Naperville, it immediately becomes evident that there are simply too many options to choose from for most people. However, if you’re looking specifically for energy efficient doors, there are a few simple ways to narrow down the field so you can find your ideal door sooner. Here are just a few things you should keep in mind if you’re looking for a door that’ll help to minimize your overall energy costs throughout the year: Read more. You already know the importance of getting damaged or broken windows replaced right away. However, that doesn’t mean that you should rush through the purchasing process. While buying a duplicate of your existing windows seems like the most obvious solution, there are several other things you can do to make your window replacement in Wheaton, IL really make a difference for your home in the years to come while maximizing the long-term value of your investment. Read more. From setting unrealistic budgets to ignoring safety and prep work, plan to avoid these mistakes and more whether you are upgrading your front door or contemplating a complete window replacement. Read more. You may feel that it’s time to replace your windows, but it is tempting to put it off, because you may dread the expense and the hassle of getting replacement windows. 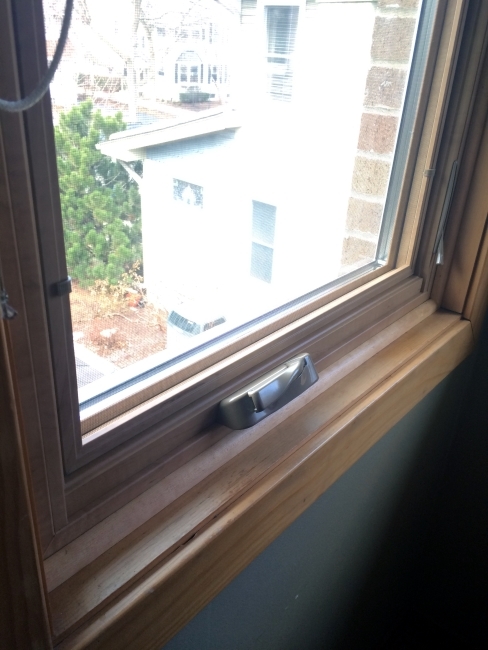 If repairs aren’t doing the trick and if you are putting up with windows that are hard to open and close and do not insulate well, it may be time to consider window replacement in Darien, IL. The following are signs that repairs may not be enough. Read more. Your front door is important in so many different ways; it’s visuallysignificant as a major feature of curb appeal, and it’s the first up-close look your guests often get at your home. 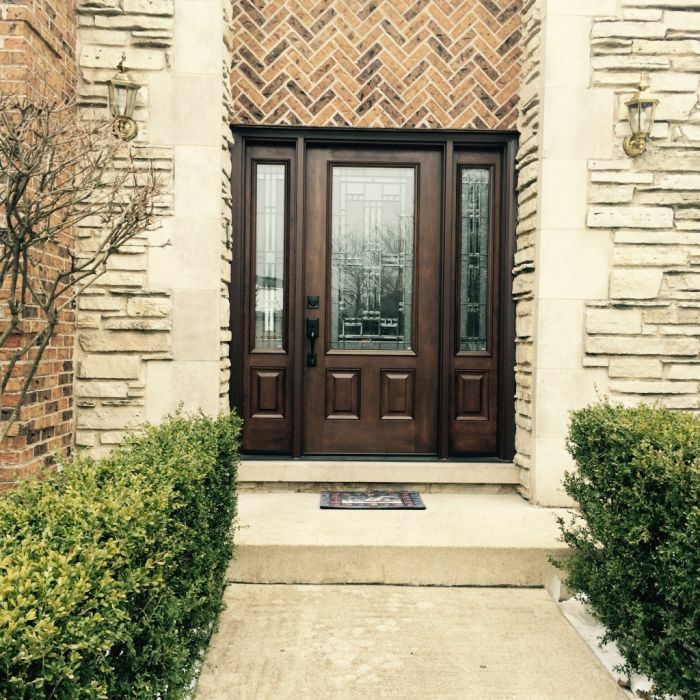 If you are considering looking at doors in Naperville soon, here are a few helpful factors to take into consideration. Read more. First impressions are often lasting impressions, and homes are no exception to this rule. Old or mismatched windows have the capability of losing an onlooker’s interest, and they certainly don’t contribute to a positive first impression. However, this is an easily remedied problem; you can instantly improve your home’s aesthetic today with window replacement in Naperville, IL. Read more. Home sellers have a wealth of investment opportunities to consider when it’s time to put their home on the market; however, some home improvements are better than others. Here are a few reasons why window replacement in Elmhurst, IL, is a great investment for getting your house sold. Read more. 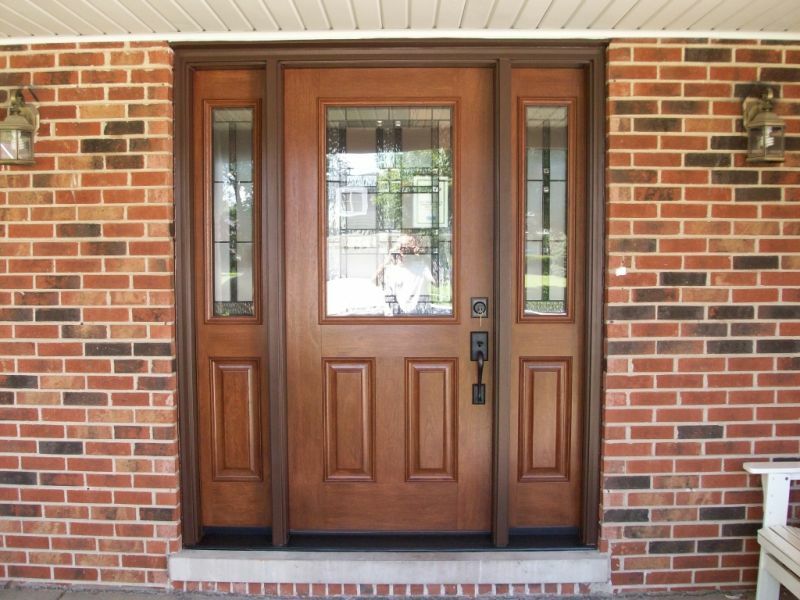 Installing new doors in Naperville can improve the value of your home and enhance the visual appeal! Doors not only improve the look of the inside of your home, but also the outside. Additionally, they will save you money on your energy bill and make your home a safer environment. Read more. If you are considering a window replacement in Naperville, you should act on it soon to start saving money! Newer windows have greater energy efficient capabilities and can save you a lot of money on your electric bills both in the winter and summer. Window replacements will also increase the value of your home which will be advantageous in the future. Read more. The Chicago area is well known for its wind and bitterly cold winters. The winter chill can lead to high electric bills when your heater is working overtime. One of the things you can do to lower your electric bills is to improve your home's energy efficiency. Finding high-quality replacement windows in Naperville can dramatically improve energy efficiency, as well as adding beauty to your home. Read more. Whether choosing new windows because you want to upgrade your home or because you simply can’t put it off anymore, you want to be sure you choose something you love. After all, unless you plan to sell, you’ll be spending years with your new panes of glass. You should think about several things before beginning your window replacement in Naperville, IL. Read more. You have made the major decision to replace the windows in your home, but are looking for more information and a reliable answers to your questions. You may be wondering which windows are the most energy efficient or attractive. In addition, you may be concerned about difficulties with installation or whether or not financing is available. Finding the right replacement window specialists is a key to making the job work. 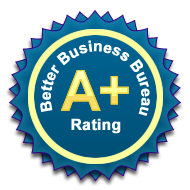 Research companies that specialize in Naperville replacement windows. Locating a company near your home may give you an advantage when it comes to consultation and questions. Read more. You moved into a home and thought the windows would last a lifetime, but you are already experiencing problems. Windows are like the eyes of your house and provide a view onto the world outside. In addition to creating visibility, windows can save or waste energy, depending on their condition, create ventilation and protect against drafts. If you notice certain signs of wear and tear, it is time to talk to a professional about new windows in Naperville. Look for reliable experts who can answer your questions about window materials and installation. Once you notice a problem with your windows, it is essential to act fast. Read more. 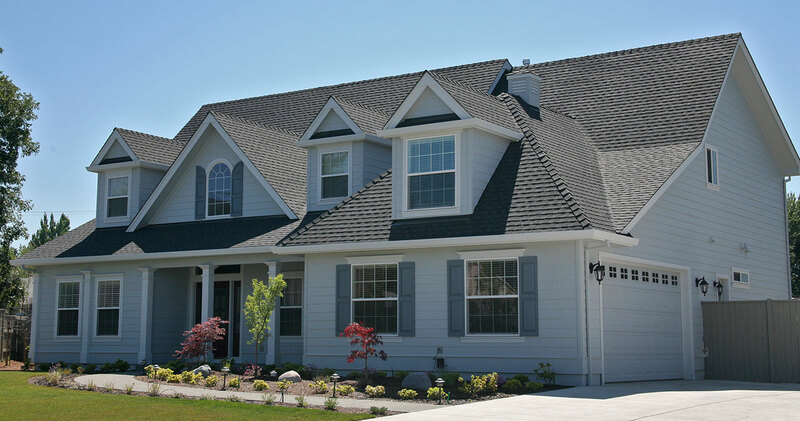 Perhaps you are building a new home from the ground up or have decided on replacement windows. You are browsing through names of window installation companies and are deciding on the best people for the job. What things should you take into consideration when choosing a company to install your windows? If you have your list of companies that provide window installation in Naperville narrowed down, consider a few factors that may help you make your final decision. The things you value may be different from those prized by a relative or neighbor, so take your own priorities into account. Read more. 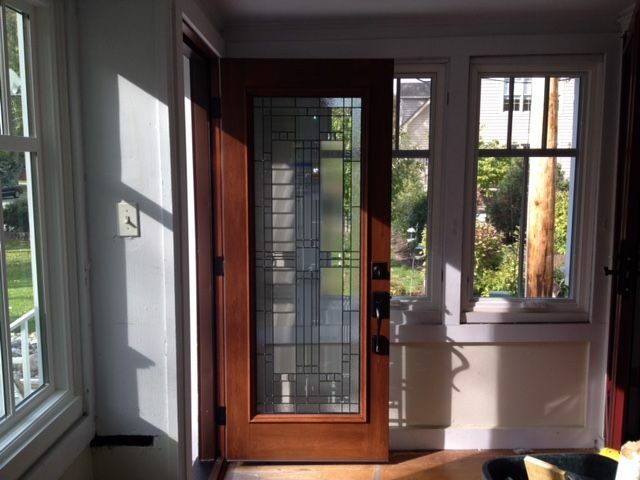 If you are looking for new doors, you can easily be outfitted with ProVia doors in Naperville. These doors are safe, secure, can outlast other brands and even help cut down on energy costs. They are recommended for a variety of reasons. Read more. When you’re choosing to update your home’s windows, you have many different options. How a window operates can change its efficiency and give you more choices for better design in window replacement in Naperville, IL. Consider all the elements of your window when you’re updating your home for maximum comfort, savings, and functionality. Read more. With the advent of spring, it’s time to make repairs and upgrades to your home to keep it operating efficiently and effectively. With your seasonal window inspection, you may find that you need replacement windows in Naperville to perform better this summer and during the colder winter. With so many choices, it can be overwhelming to decide which options meet your needs. Here are some tips to help you find the right windows. Read more. Have your heating and cooling bills been rising over the years? If so, it may be time to look into window replacement in Elmhurst IL to make your home as energy efficient as it can be. Replacing windows is an essential part of home maintenance. Read more. If you are investigating window replacement in Downers Grove IL, there are many options for your consideration, from window materials to window styles. Replacing your windows can be a good investment in your home’s appearance and its energy efficiency. Read more. Window replacement is one of the many routine home maintenance expenses. While it can be a large investment, window replacement in Wheaton IL can offer many benefits for both your home and your energy bill. Read more. On a cold winter night when you are curled up in a chair next to the window, does it feel like the air conditioning is on instead of the heat? If this sounds familiar, you might need some advice on window replacement in Naperville. Read more. With more people becoming homeowners in Illinois is recent years, there has been increased interest in window replacement in Western Springs. 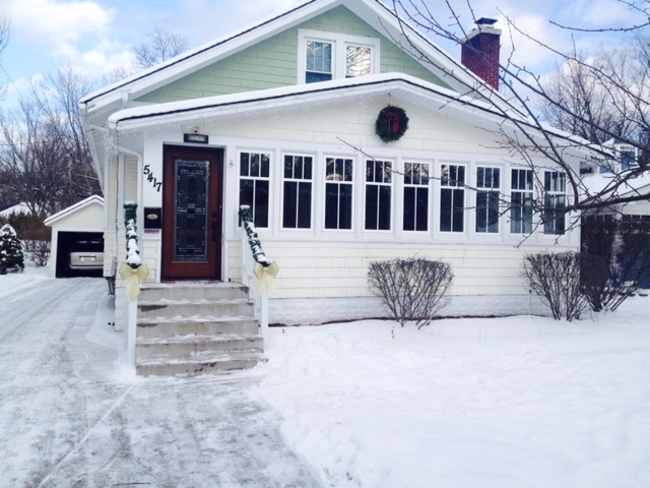 New windows are a great way to update an older home in both its energy efficiency and its look. As with anything, what is popular in windows has changed over the years. Knowing what the current trends are can help you choose a new look for your home. Read more. When looking to go more environmentally-friendly in a home, one renovation choice with immediate benefits is to replace the windows in that home. 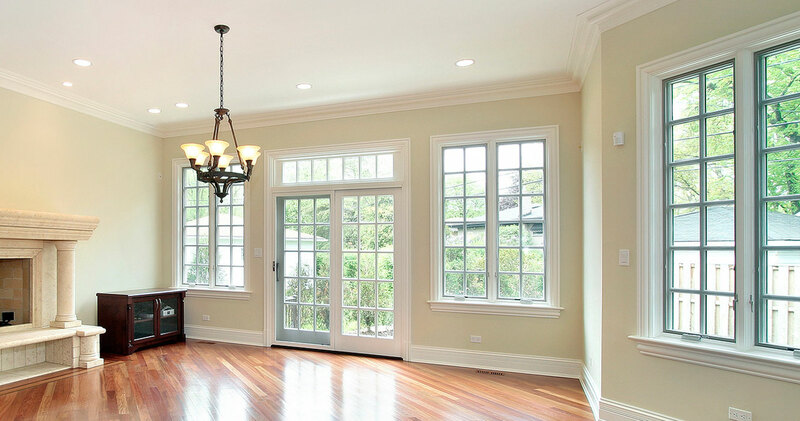 By selecting Pella windows in Oak Brook, the energy efficiency of the home is instantly improved. Old windows can become drafty and ineffective with age, but when replaced with high-grade materials, the homeowner is not letting conditioned air or heat escape the house as much. Read more. If you are looking to sell your home soon, one of the first things you will want to begin considering is your home’s curb appeal. You want your home to look fabulous at first glance, because with potential buyers, that initial impression is vital. Outdated windows can be a big turn-off for buyers; it may communicate to them that the home might be drafty, that they will have to go through old, cumbersome mechanisms of opening if they want to let the fresh air in. They may even think that the current homeowner is neglectful to have left their windows as-is. You can bypass these negative impressions by getting your new windows in Downers Grove, freshly updated and reassuring to home-buyers. Read more. A patio door installation in Napervilleallows you the opportunity to enjoy the comforts of outdoor living all year round. You can enjoy the view of a snowy winter or the first blushes of spring. You also gain easy access to the backyard during the summer barbecue, pool parties or relaxing in the crisp air during the fall. Whatever your desire, installing a patio door transforms your living space into an envy-worthy showcase. Read more. The decision to undertake a window replacement in Naperville, IL is usually a matter of necessity. For example, if you are feeling drafts or experiencing higher than usual electric bills it is a way of saving money. In other instances, you may be looking for a home improvement project that boosts the overall visual appeal of your home while adding value, which is important especially if you intend on selling the property down the road. With that said, it is one fixer-upper that offers several benefits. Read more. If you are looking for a way to add curb appeal to your home or boost its resale value, think about the entrance. Upgrading doors in Naperville suburban homes is a relatively low-cost home improvement project that offers major benefits for homeowners. In fact, it is considered one of the best updates for your money. Read more. Old and/or poorly installed windows are some of the biggest causes of poor thermal and energy performance in a home. Gaps in framing, poor seals due to improper fits, single-pane construction and cracks in glass or frame materials are just some of the ways bad windows increase climate-control expenses. 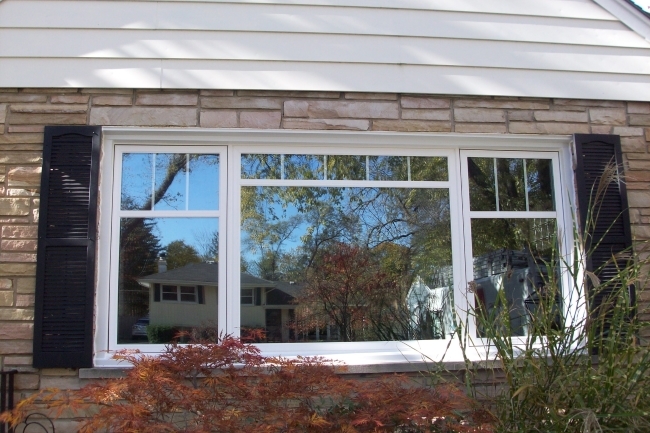 Window replacement in Elmhurst, IL, can provide a cost-effective way to save money on heating and cooling bills while upgrading the look of your home. Read more. If you’ve got a need for window replacement in Wheaton IL, you should get a sense of what your options are. There are a lot of fantastic companies out there who have developed state-of-the-art window technology. Your local windows and doors company will likely feature a selection of the best and most practical of these types of windows. Pella windows and Marvin windows are likely to be among these. How do you decide what’s right for you? Read more. If you have lived in your home for several years and are getting tired of seeing the same thing every day when you come home from work, you probably feel like it is time to make some changes to its appearance. If you cannot immediately think of a place to start, however, consider making a close examination of your windows. When you get the right company for window replacement in Western Springs, a slew of issues will be fixed that you might not have known were there in the first place. These are just a few of the benefits you can discover. Read more. Whether you’ve lived in your house for decades or you just moved in last month, chances are that you have not paid much attention to your windows during your time there. However, they play a much larger role in the comfort of a home than most people realize. To that end, if you know that your home is 15 years of age or more, and that the windows haven’t been maintained during that time, purchasing some new windows in Elmhurst can make a huge difference in the structure’s curb appeal and cost effectiveness. Here are a few ways to determine when it is time to make the investment. Read more. 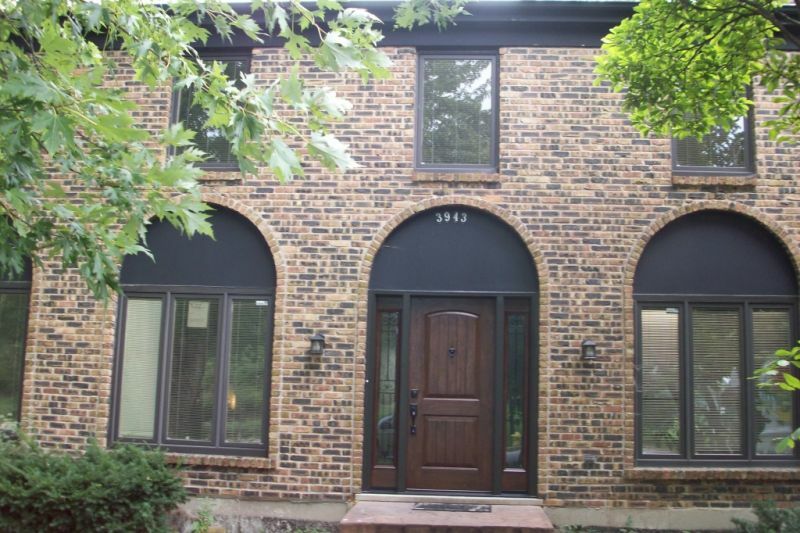 A lot of people in Naperville think of windows and doors as two completely different things. One you walk through, and the other you look through, right? Well, that may be true as far as function goes, but the partisans of form over function would opt for a different categorization. When it comes to tying the look and feel of your whole house together into a lovely package, you should start thinking of your Naperville windows and doors as things that belong to the same category. That way, you’ll be applying the same aesthetic to both, and your house will look great as a result. Read more. 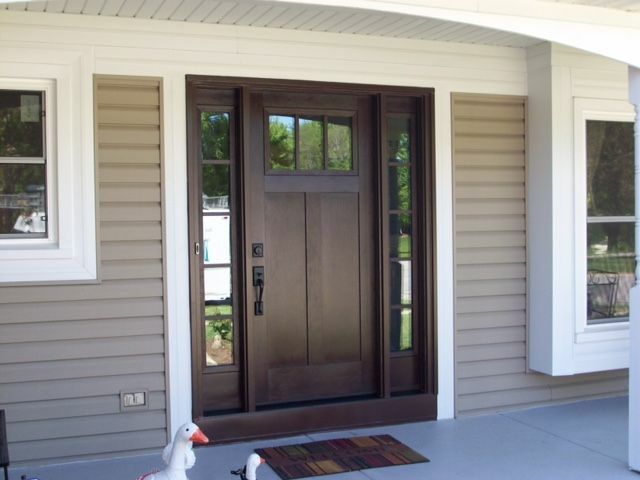 If you’re looking for a simple way to add character to your Downers Grove home, don’t look farther than your entry door. This is the first element of your residence that people interact with when they visit you, and it has a strong effect on their impression of your house. 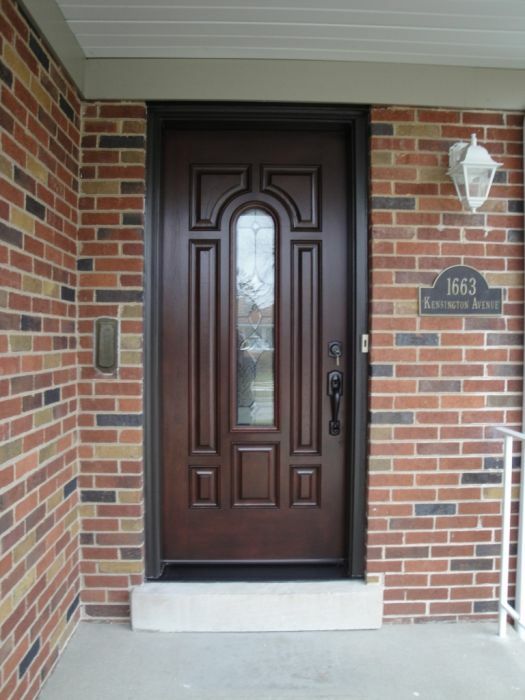 If you’ve got a lot of personality and want your house to show it, check out some unique options for exterior doors in Downers Grove IL. Read more. The French are famous for really knowing how to live. It’s no coincidence that the style of doors bearing their name is great for boosting a person’s joie de vivre. French doors turn an entryway into the gates to paradise by bringing in bucketfulls of natural light that would normally be shut out by a solid door. So if you’ve decided that the time is ripe for upgrading your entry doors in Naperville, perhaps a lovely set of French doors will create just the feel you’re looking for. Read more. As an aspect of the home that arguably experiences the most interaction with people, doors are of significant importance to the aesthetic appeal of the entire structure. However, like all things that see a lot of use, they start to wear down over time. If you live in Illinois and you start to notice some of the following problems, it is to your benefit to get in touch with a well-regarded company to install some new doors in Naperville. Read more. Replacing the windows in your home can be a major undertaking, and it is important to consider this big move carefully. You will want to look into various designs and materials for replacement windows and consider issues of energy efficiency and durability. 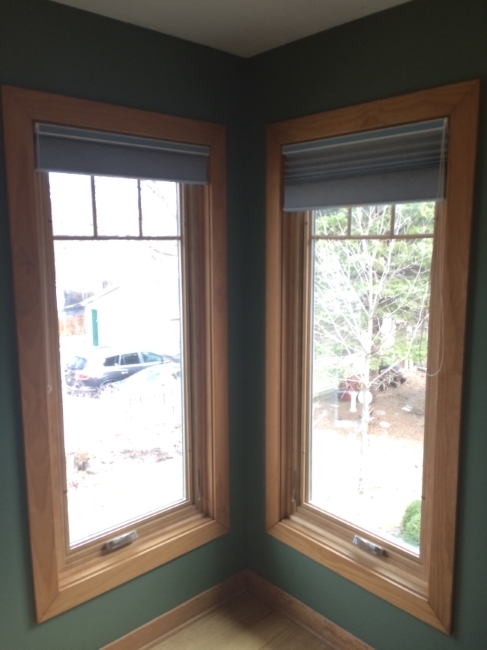 Window replacement in Wheaton, IL can be easier if you consult with experts on the subject and ensure that you have professionals on hand for effective installation. Read more. When Do You Need a Window Replacement? If a local kid throws a baseball and breaks your window, you definitely need a window replacement. However, it might be harder to tell, under more ordinary circumstances, when you need to buy new windows. If you have a home that is 15 years or older, it might be time to check your windows. There have been significant advancements in window designs recently, and many homeowners have windows consisting of a single layer of old-fashioned glass. If you decide you want new windows, look for window replacement in Western Springs. Read more. Your windows may be run-down or perhaps you want a new look for your home. Window replacement in Elmhurst, IL can be simple if you make the right preparations ahead of time and are armed with information. Consider the design of windows you want, energy efficiency and materials that will provide maximum durability and performance for long life. Read more. Springing for new windows can be a complex, costly undertaking, but it can be more expensive to live in a house with old windows. Drafts, ultraviolet rays and maintenance fuss can rob you of time and energy for other things. The key is to replace your windows before they actually look run down. If you are in the market for new windows for your home, look for experts in window replacement in Glen Ellyn. Read more. When you should get new windows? Before it is too late. The truth is that many homeowners wait until the eleventh hour before replacing windows. The reason for this may be worries over the expense of replacement windows, but in reality, delaying the purchase of new windows can cost you much more in the long run than the expense of replacing them when they start to wear out. 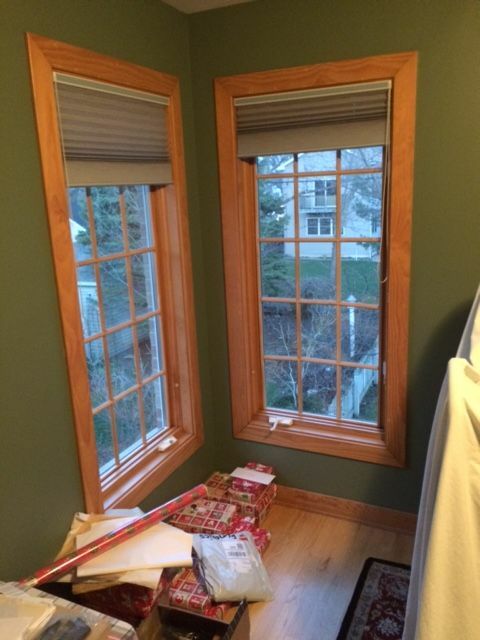 If you feel it is time to give your home the gift of windows, look for new windows in Elmhurst. Read more. You can't get around it. Eventually, you're going to need window replacement in Naperville, IL. When the time comes for you to purchase new windows for your home, be sure you've armed yourself with information, and don't fall for these myths. Read more. Windows are one of those elements of a home that can make all the difference when it comes to home improvement. Between the light, the view, and the sheer beauty that windows evoke, there is nothing like making a statement with windows. Choosing the best quality windows, like Pella windows in Naperville, can be an investment in your home’s future that you will be rewarded for time and again. Read more. As a homeowner, you probably have a few tricks up your sleeve when it comes to impressing guests and visitors. But have you ever considered the statement that doors make? As the entry and exit points for the home and each room, doors serve a very functional and protective purpose in addition to making a major splash aesthetically. Check out some of these ways that doors affect your home before going hunting for door installation in Naperville. Read more. What Makes a Window Qualify for an Energy Star Rating? More homeowners than ever are focused on making their residences as energy efficient as possible. If you fall into that category, you’ve most likely heard of the Energy Star Rating. You might also be wondering what qualifications a window manufacturer has to meet in order to have an Energy Star-worthy window. Give yourself a lesson in energy efficiency if you’re considering window replacement in Western Springs. Read more. While it’s perfectly understandable for you to want to maintain and keep your current windows for as long as possible with professional window repair in Naperville, there are times where it’s beneficial for you to get all new windows. Before you spend money on window repairs, find out the benefits of replacements. Read more. While you might already be familiar with energy efficient windows, such as Pella Windows in Naperville, you might not be so well-versed in the many different window designs you have to choose from. Windows come in several different shapes, and your personal tastes, the look you’re going for with your home and your budget will probably play a large part in which window design you choose. Learn more about your options before making a final decision. Read more. Cold winters are a fact of life in Illinois, where the average temperatures from December through February are below freezing, and the weather may drop below zero Fahrenheit some nights. When the temperature goes down, your heat bills naturally go up, as your furnaces and fireplaces work to keep your home warm and cozy. However, depending on the state of your windows and doors in Darien, IL, you might be losing money on heating costs. Experts estimate that thirty to fifty percent of the average house's total heat loss goes out the doors and windows. Read more. Old or failing windows can create a predicament. Should you replace them or repair them. While the cost difference between the two options is usually substantial, there are many compelling reasons for either choice. In many cases the decision can be made for you if you understand the benefits of each option. These are the major times to consider window repair or window replacement in Western Springs. Read more. 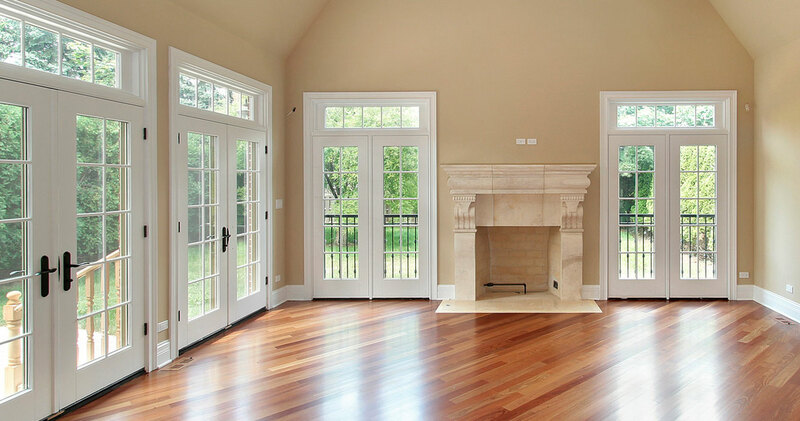 When you are considering Pella windows in Naperville, you are choosing from high quality options. A good contractor or consultant can go a long way to helping you find the best fit for your home, but it’s always good to have a little background. Pella windows come in three varieties: vinyl, wood and fiberglass. This quick guide will inform you on the basics of each material and why you might choose it over the others. Read more. If you're like most homeowners, you'd probably hire a professional installer to replace your house's front door, both for appearance and security. However, when it comes to patio and porch doors that aren't as visible, some people may try to save a little money by doing the work themselves. The truth is, when it comes to patio doors in Naperville, a professional installation job is as important as it is for the front doors. Read more. You love your house, but you sure wish it didn’t feel like such a dungeon. You are not the first person to run into this situation. There are several things you can do to let in light and air to make a brighter home and beat back the bleakness. Read more. Does Your House Need New Eyes For Its Soul? Windows are the eyes of your house but most of the time you don’t give them a second thought. They’re like any other part of your house, however—they need regular maintenance to keep them in good shape. Sometimes, though, you might be better off replacing them entirely. If you think it’s time to look into window replacement in Glen Ellyn, then consider the following thoughts. Read more. The outside of your house can see a lot of wear and tear over time. Eventually, you’ll face the day when you need to replace some, if not all, of your exterior doors. These new doors will probably be on your house for a long time and can even increase the value of your home, so this decision isn’t one to take lightly. Fortunately, you can find many companies who can guide you through everything you’ll need to know about picking new exterior doors in Downers Grove, Il. Read more. Choosing to replace your windows is an important decision, and should be handled with expertise and professionalism to ensure that the process is as enjoyable as possible. In fact, many people have decided to turn to window replacement in Willowbrook IL as a rewarding home improvement project. You will appreciate the effect of beautifully crafted and installed windows from the inside and outside of your home. Bring the light in, and keep unwanted temperatures out! Read more. Many people are choosing window replacement as a home improvement project, and for good reason. When done accurately and beautifully, windows can transform the look of your home from the interior and from the exterior. You can let the natural light flood your home while also showing off your distinctive structural style of choice. 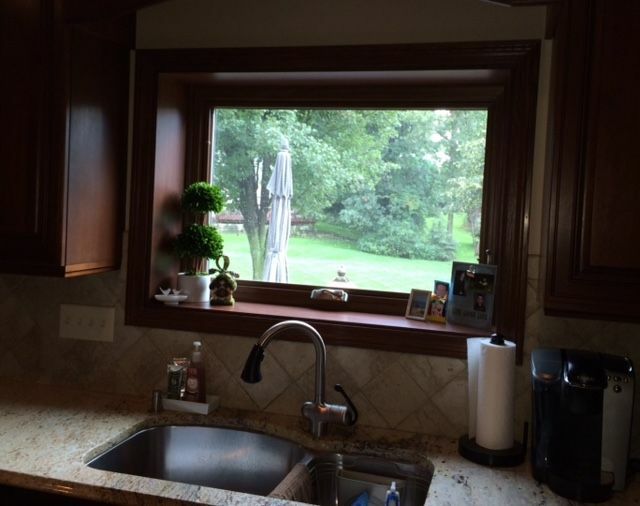 Let window replacement in Downers Grove IL be the creative and rewarding home improvement project that you’ve been looking for. Read more. If you are like many people considering a home improvement project, you have been paying a lot of attention to your windows and doors recently. Perhaps you have even been noticing other homes with beautiful window treatment, as such houses are hard to ignore. Naperville widows and doors can provide you with the benefits of an exciting home improvement endeavor while also providing you with additional protection and savings. There is nothing like a beautiful exterior door paired with durable and decorative windows to invite sunlight and guests into your home. Replacing windows and doors is an especially exciting project when you consider that the final product will seem like a renovation to both the interior and exterior of your house. Read more. The right windows can open up your living space and make rooms feel larger and brighter, as well as increase the value of your home. 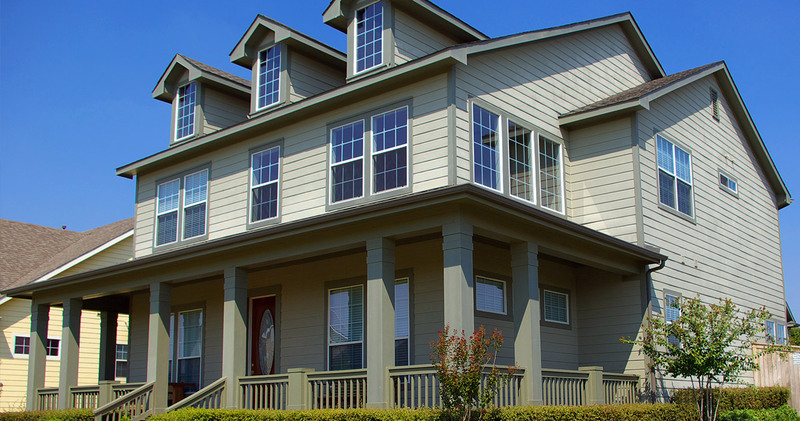 Replacing your windows with Pella or Marvin Windows in Naperville is a smart update for homeowners, but you need to be aware of the differences between these two window manufacturers in order to make an informed decision for your home. Read more. Your entry doors can say a lot about your home. With exterior doors in Naperville, you can make sure that your outer entrances say only the best things about you and your home, and that your doorways exude the attitude that you are going for with your residence. Read more. Choosing to upgrade your sliding or patio doors can mean added convenience, beauty, and value for your home. If you’ve been considering updating your patio doors in Darien IL, read on to discover three benefits to installing updated patio and sliding doors. Read more. Before starting any remodeling project involving windows and doors in Darien, IL you need carefully consider many different things. You probably already are aware of your own style and that of your home, but there are many other things that are just as important to your choice. Here are few things to help you choose the right replacements for your house and to maintain safety and value. Read more. The architecture of your home is key to its style, so when you’re choosing replacement windows in Darien, IL you want to ensure that you maintain the dignity of your home’s look. After the door, the windows do more for the curb appeal of your house than any other feature. Match your windows to your home’s structure to get the most bang for your bucks. Read more. A patio door is a great way to increase the light to a room and allow for an easy exit to the patio, but it’s important to consider your home’s architecture and structure when choosing to install patio doors in Naperville. French doors work well in a Colonial or Tudor home with their traditional design, while a more modern home may look better with a sliding glass door or a newer bi-parting door. Read more. When installing new windows in Elmhurst, you want to make sure that your windows fit into your home’s architecture, but have you considered the placement of your windows? First floor and second floor windows have different needs and most people don’t think about this until after the windows have been installed. Work with your contractor to make sure that your windows fit the way you need them to work, no matter where they are in your home. Read more. The door to your home isn’t just an entryway into your residence, it’s the focal point of the exterior of your house. Your door is part of the first impression your visitor gets when they come to see you and makes a statement about your personality and style. Today’s homeowners have more opportunities than ever before to be creative with door installation in Naperville. Read more.